In 2004 Australia designed and built the Pontiac GTO and G8 which was an exported muscle car version of Australia’s own Holden Commodore. For over 80 years, Australia had it’s own mini pickup truck, called the ‘ute’ which is short for coupe utility. A half car, half truck and similar to the Chevrolet El Camino. These utes are all the rage in Australia with its own road racing code and some future classics among the range. 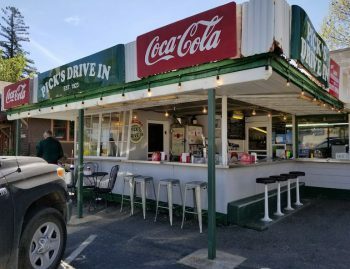 Now you can buy one of these classic muscle cars here in the USA! Colorado based Left Hand Utes receives these Aussie Utes without the engine and drive train. Firewalls from from an American GTO or G8 are spliced in and American compliant engines and drivetrains are fitted to form a fully USA compliant daily driver. “Ford is claimed to be the first company to produce an Australian ‘ute’. This was the result of a 1932 letter from the unnamed wife of a farmer in Victoria, Australia asking for ‘a vehicle to go to church in on a Sunday and which can carry our pigs to market on Mondays’. The United States has several of its own versions of the Aussie ute, the Chevrolet El Camino and the Ford Ranchero. Both models have now ceased production with the market continuing to favour many variations of the full size pick-ups which include the Ford F series, Chevrolet and Dodge trucks. The ute has always been a major part of Australian culture and has extended far beyond being a farm hand’s daily drive and a tradesman’s work vehicle. 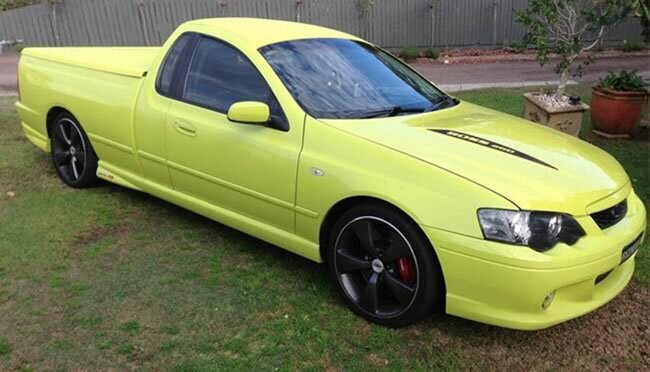 Utes are now in the collectable muscle car category where many never carry anything more than a few six packs of beer and an ice cooler to the local cricket match. HSV (Holden Special Vehicles) have released a desirable sports model, the GTSR Maloo. This has the supercharged LS Generation IV 6.2 liter engine with a massive 592 horsepower (425 kw) on 20 inch rims and fully independent suspension all round for maximum grip and handling on the road. This is a future classic collectable muscle car. There won’t be many of these on the road. Sorry USA, there won’t be any here, and production is finite. Holden will be closing it’s vehicle manufacturing plant in Australia in October 2017. What is the future of utes in Australia? Asian imports are now dominating the market in Australia. In 2016, the popular Toyota Hilux, a favorite for tradesmen, and now families, has become Australia’s top selling vehicle. The Toyotas have a strong reputation for their reliability and strength in Australia. Luxury appointments, four door models with turbo diesel options have offered a mix of good performance, reliability, functionality and economy. Other popular utes include the Nissan Navara, Isuzu Dmax, and Holden Colorado which is similar to the Chevrolet Colorado. They might not be Australia built, but the ute will continue to live on in Australia for a long time. Will the Ranchero and El Camino make a comeback? There are rumours for the Ford Ranchero, and there are concept images online of a Taurus similarity, but the anticipated release date of late 2016 has now passed by, so it looks like it’s still a wish. The Chevrolet El Camino has been rumoured to be based on the Australian Commodore ute, but this is a long shot now that Holden will cease production this year. There are several concept images of a Camaro fronted lookalike, but release dates keep moving forward, so this too seems to be another wish. With the luxury, size and capacity of the traditional pickup trucks in the USA, I’m doubtful that a compact size pickup will be as successful. There are Toyota Tacomas, Ford Rangers, and Chevrolet Colorados that fill this compact range quite nicely. Top of the range Malloo Holden Ute converted for full USA compliance. Thanks for your comment. A car similar to the G8 is still available here. It’s the Chevrolet SS. Still made in Australia and Chevrolet just put in an order for another 1,000 units to be built. I am surprised that someone is actually importing Holdens from Australia. I have never seen one outside of Australia. The Holden Commodore is for the Aussies what the Volvo is for the Swedes. A great family car. Spare parts are cheap and plentiful and a lot of people are into tuning them for better handling and more power. Like you mention there are plenty of Utes around, especially in the Outback. They must be good if someone is importing them into the US, considering how many american pick up trucks that are available. I agree with you how good these must be. With some of these utes having independent suspension front and rear, superior brakes, and the aluminum LS engines with fuel injection, it’s more of a performance machine than a ute. Unfortunately local vehicle production ceased in late 2017 so no more new utes or SS’s. 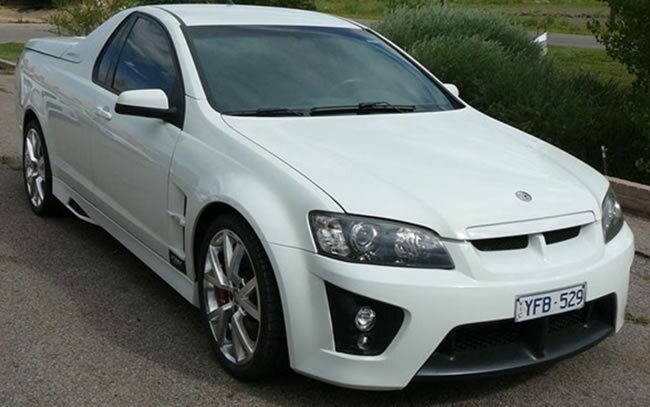 HSV (Holden Special Vehicles) made a range high performance luxury utes called the ‘Maloo”. The latter using the LSA supercharged engine used in the Cadillac CTS-V range as well as the fifth-generation Chevrolet Camaro ZL1. I just bought one with a few tuner options which has 780hp. That’s more than an Aventador! You could always import one of these in right hand drive. It would take a little adjustment but plenty of people over here drive LHD American imports in a RHD country. As an owner of a Chevy SSR I bought into the story that the SSR was a concept car thought up by engineers. Then I ran across a junkyard picture of a Ute. It looked like an SSR. Further investigation brought up two fully restored and modified 1937 ( I believe they were Holden) Ute’s. My jaw hit the ground as they looked like the SSR’S bigger and nastier grand fathers. Longer one piece body, massive wheel fenders and same rounded roof with a functionless but very cool small rear window. One was bought and restored by an older man in Washington state. Holden is a well known Australian company started by GM long ago but is not run by GM. So what are the odds that GM engineers came up with SSR all on their own and never saw a 37 UTE. Me thinks their story of coming up with the idea themselves is a bunch of bull…t. The Aussies got ripped off. Sorry, just scrolled up and saw the Maloo’s. Would be nice to do the VF (mine’s a GTS). Hello Rick. Are you in the USA? If so, you can check with http://www.lefthandutes.com. 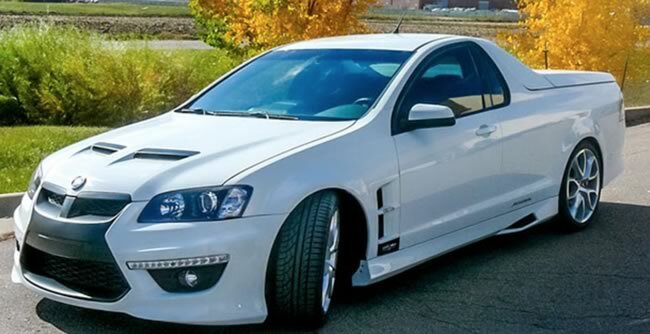 They are a company in Colorado who import Holden utes and convert them to left hand drive. Thanks for your comment. Alan. Hi Alan, are you the owner of the white VE down in Miami? Hi Timothy. I wish! Sorry, not the same VE owner. Thanks for your note Timothy.